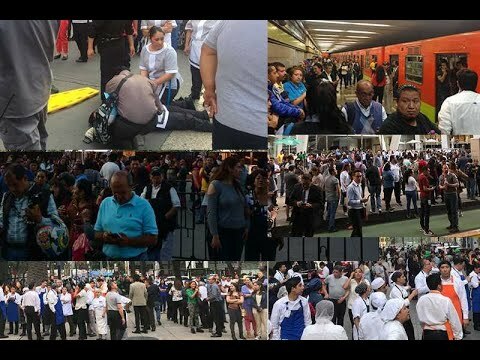 A 7.2 magnitude quake rocked Mexico at 17:39 on Friday, a prolonged rumble that the government said had caused minor damage to buildings in the southern state of Oaxaca, but with no preliminary reports of deaths. Interior Minister Alfonso Navarrete said Friday’s quake caused some superficial damage to buildings in Oaxaca, but no deaths had been reported. Images in the media appeared to show bricks and rubble fallen from buildings, and products tumbling off shelves in a supermarket, while tremors were felt as far away as Guatemala to the south. 59 aftershocks have been produced so far with no major incidents or deaths reported. The quake was felt in the southern state of Guerrero in the capital city of Chilpancingo and the tourist resort of Acapulco, in the southwestern state of Oaxaca and center states of Puebla and Morelos. Public transportation systems Metro and Metrobus have resumed operations. Risk of tsumani has been discarded in the southern coasts of Mexico.